Pastor Jean Tshibuabua stares bleakly into his coffee and considers the future of the Democratic Republic of Congo (DRC). 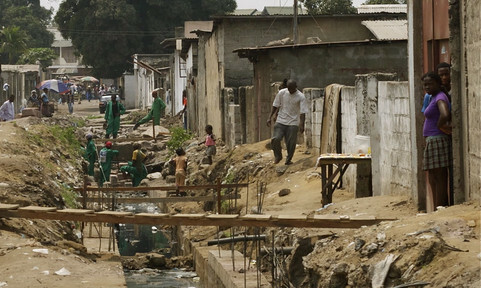 It is early morning but already the cacophony of battered minibuses plying Kinshasa’s clogged and potholed streets can be heard above the religious compound’s tall protective walls. "We will end up with a state that is run completely by international institutions," says the middle-aged clergyman in frustration with his country’s political elite. "The government is totally absent in DRC." Outside, the capital’s 10-million-plus inhabitants are commencing their daily struggle for existence. In the main market, women squat behind tiny stalls selling cups of washing powder at 100 francs a piece (€0.08), flies buzz furiously around small offerings of chopped-up meat and everywhere a thick, dusty layer of rubbish covers the ground. Patsho, a newspaper vendor in his early 20s, enters the religious centre hoping to find customers. A recent graduate in engineering studies, he has found it impossible to find work in the sector. "You need to know someone in power to give a recommendation for you," he says, aware that things could be different. 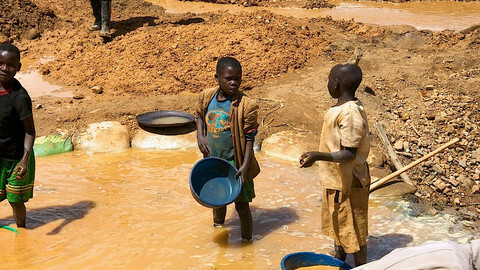 "Three percent of Congolese are rich, the other 97 percent live in misery." 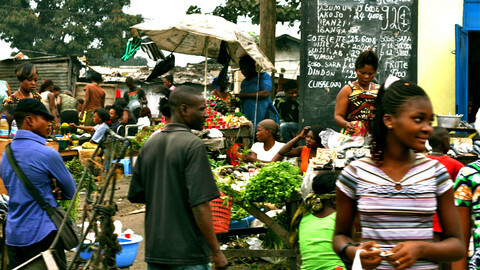 Political cronyism and a poor distribution of wealth are clear problems in the DRC. 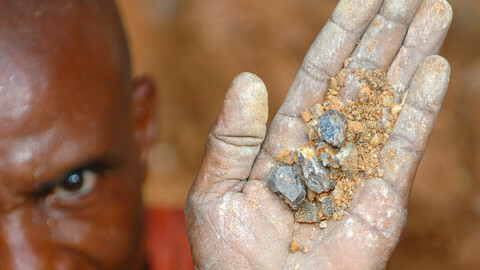 Despite the country’s huge endowment of valuable natural resources - including diamonds, coltan and precious hardwoods - poverty remains widespread. Western donors have pumped in money over the past decade but results remain mixed and intangible for much of the population. In the eastern Kivu provinces, a bitter conflict between armed groups continues to rumble on to this day, in defiance of a 2003 peace accord brokered by South Africa. Estimates put the death toll at over 5 million people, largely due to famine and disease, making it the single most deadly struggle since the World War II. "Why do people still talk about a breakup of Congo?" asks pastor Tshibuabua as he stirs his cup wistfully. "Because there are some who would dearly love to be free from this chaotic government." Amidst this heady mix sits the European Union, its logos and painted flags propping up repeatedly around the DRC. Last year the bloc spent €253 million on projects to improve the country’s rudimentary infrastructure and health system, as well as on initiatives to boost environmental protection and good governance. The figures mean that the DRC is currently the largest recipient of EU support amongst the African, Caribbean and Pacific Group of States (ACP), with a further €45 million to be spent on legislative and presidential elections this November. 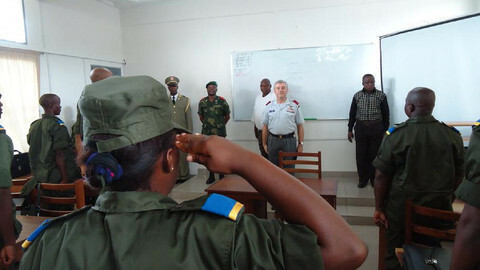 In addition, two EU Common Security and Defence Policy (CSDP) missions are currently ongoing: one pushing for reform of the DRC’s corrupt and underpaid police force; the other its military. Sitting in his office, high up on the 14th floor of Kinshasa's BCDC (Banque Commerciale du Congo) building, EU ambassador Richard Zink defends this high level of spending. "The DRC was on its knees 10 years ago," he says, a reference to the tumult and insecurity which reigned following the assassination of former president Laurent Kabila in 2001. "Since then I think there have been some improvements," adds the German national, who was drafted into the EU’s External Action Service from the European Commission’s development department. Behind him, through the large glass windows, the mighty Congo River can be seen moving languidly from east to west, once a busy trading route for rubber during the days of the Congo Free State (1885-1908). King Leopold II, the Belgian monarch, privately owned and plundered the country, using many of the profits to fund a massive construction programme back home, including Park Cinquantenaire and its triumphal arch, overlooking what is now Brussels’ European Quarter. Today, however, the Congo River appears strangely quiet, a testament to the strained diplomatic relations between Kinshasa and Congo-Brazzaville on its northern shore. "The DRC borders nine other countries," notes Zink, listing off the questionable democratic credentials of many of them. "So our funding here has a huge effect on the stability of the whole region." Pressed as to whether Europe is losing the battle with China for political influence and access to the DRC’s abundant resources, he concedes that European companies are currently way behind. "But the Cold War is over," he stresses. "We can’t just tell China to keep out." Despite this, EU spending has brought benefits to a country where endemic corruption has otherwise placed a handbrake on development. Straddling the Rwandan and Ugandan borders in the east, the Virunga National Park has been almost entirely funded by the EU in recent years. The reserve is home to a rich array of plants and animals, including endangered mountain gorillas, but it also provides good cover for a plethora of armed groups. The EU money has helped tackle this security problem, train and equip park rangers to fight poaching and develop the necessary infrastructure to attract badly needed eco-tourism. In addition, a series of EU-funded roads have opened up access in the Bandundu and Bas-Congo provinces. In Kinshasa, a city crisscrossed by a multitude of underground rivers, a project to dig out the city’s blocked drains and develop effective landfill sites has reduced flooding during the rainy season. Overseeing much of the work is Maurizio Filippi, chief administrator of the EU’s Parau project. He first arrived in the DRC in 1996, just in time to witness the final days of Congo’s former dictator, Mobutu Sese Seko. "The road to the main sea port at Matadi was a catastrophe, totally lunar, hundreds of lorries all scrambling to get round each other," he recalls. But there are problems as well, concedes the official, not least the constant political turmoil in the DRC which has caused many expensive EU projects to be "reset from zero." 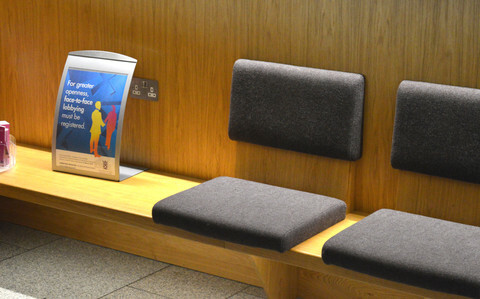 On top of this, a disconnect with paymasters back in Brussels is causing frictions, in particular their perceived lack of flexibility over project implementation. "The officials in the commission don’t understand that the audit is not god. That’s why things don’t advance," says Filippi, throwing his hands up in despair. "The Parau is blocked. We have written contracts for only 60 percent of our available funding." Back in Brussels, there are growing mutterings about how justifiable the high level of spending is, with some pointing the finger at Belgian Liberal MEP Louis Michel. The former EU development commissioner (2004-2009) was ideally placed to channel funding to a country of personal interest, say critics in the European Parliament, in the process helping the DRC’s incumbent president, Joseph Kabila. 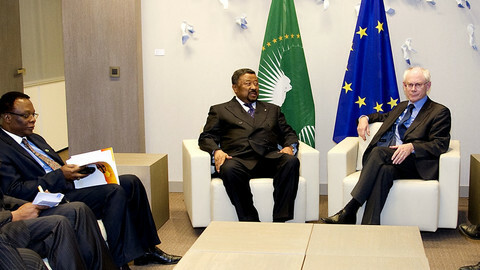 The two men are known to be close friends, with Michel receiving criticism in 2006 for appearing to openly support Kabila’s candidacy during the country’s first democratic elections. "I've always had my suspicions about him," recounts one euro deputy on condition of anonymity. "He seems to be very close to Congolese politicians and considers the brief inside the parliament to be all his." Others are more nuanced however. "It's true that he put the Great Lakes region at the centre of the EU agenda," says Belgian Green MEP Isabelle Durant. "But the DRC is very important for regional stability. I don't think it's just because of Michel that it receives money." More importantly, a new countercurrent to Pastor Jean Tshibuabua’s vision of a DRC increasingly run by international institutions appears to be taking shape. Across Europe, financially crippled governments are taking a cold hard look at their very mixed results to date. "Generally the EU has been very happy to distribute largesse with EU taxpayers money without asking for much in return," says Charles Tannock, a British Conservative MEP whose government has been as vocal critic. As a result, pressure is increasing for much greater conditionality to be attached to EU spending in the future. Already there are signs of an international disengagement with the DRC, say experts. 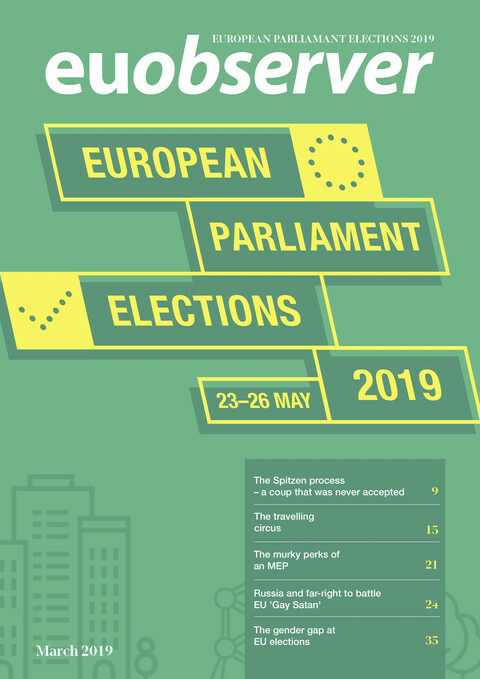 In a letter to Catherine Ashton this April, a cross-party group of MEPs called on the EU high representative not to send an electoral monitoring mission to the DRC, arguing it would cost too much and merely legitimise fraudulent elections. The team was eventually sent, but Monsuco, the UN’s largest (and much criticised) overseas peacekeeping force, is likely to be the next in line for tough scrutiny. 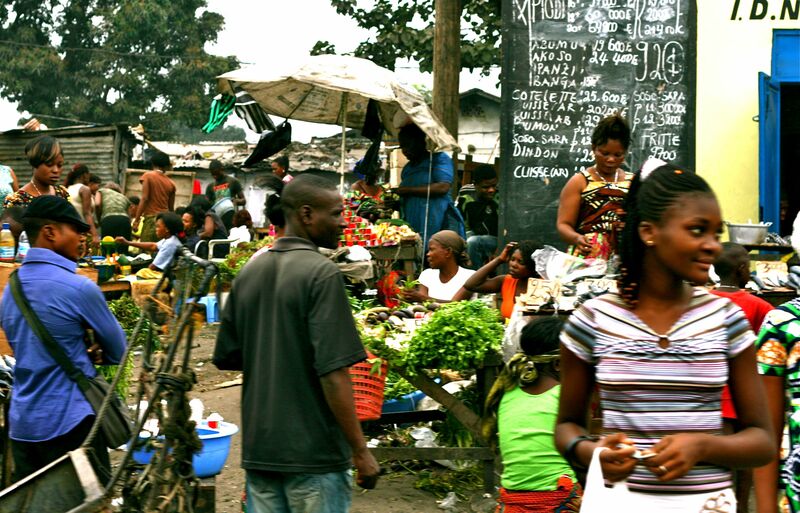 "When I consider the facts, I sense an informal decision to abandon Congo politically," says Marta Martinelli, an analyst with the Open Society Foundations. The former EU official says that until very recently there was a strong European desire to see a return on investments, but "Congo fatigue," budgetary constraints and new foreign policy priorities have all taken their toll. 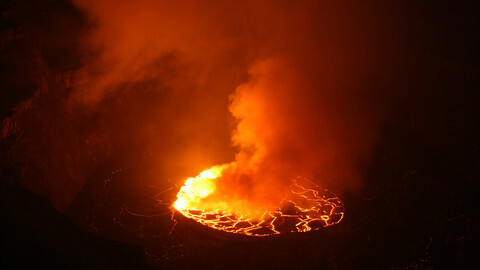 "Congo has wasted a huge capital of trust that it enjoyed in 2006. It has failed the international community and the Congolese people on several dossiers." This article is the first in a series that EUobserver will be publishing ahead of the general elections in the Democratic Republic of Congo on 28 November 2011. The recent wave of pro-democracy revolutions in north Africa and the implications for EU relations with the wider continent are among the thorny topics set to dominate an EU-Africa meeting next week. EU foreign relations chief Catherine Ashton is keen to cut the post of EU Special Representative to the Great Lakes in Africa at a turbulent time in the region.